All Photos belong to NHYM Copyright 2015. 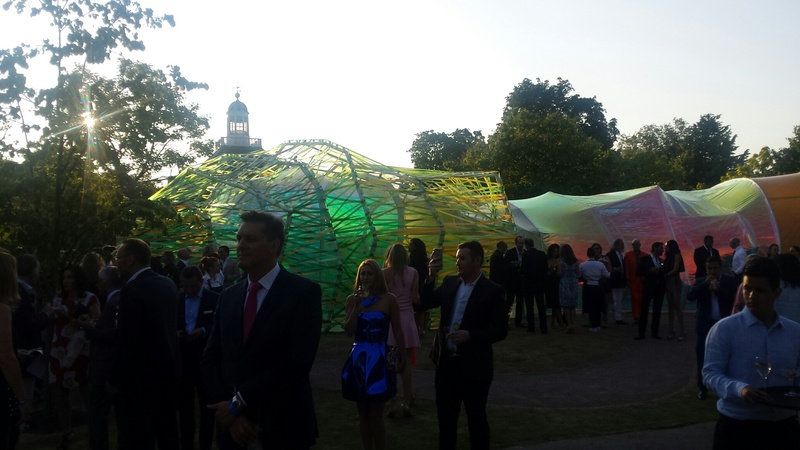 Last night’s Serpentine Summer Party ended on a high after a close disappointment. This is a party that combines Art, Architecture, Fashion, Music, Glitterati and lots of fruity cocktails, which is a FOMO-Free Zone. There’s nowhere else I’d rather be, not even the American Ambassador’s feted 4th of July party, which coincided with SSP. 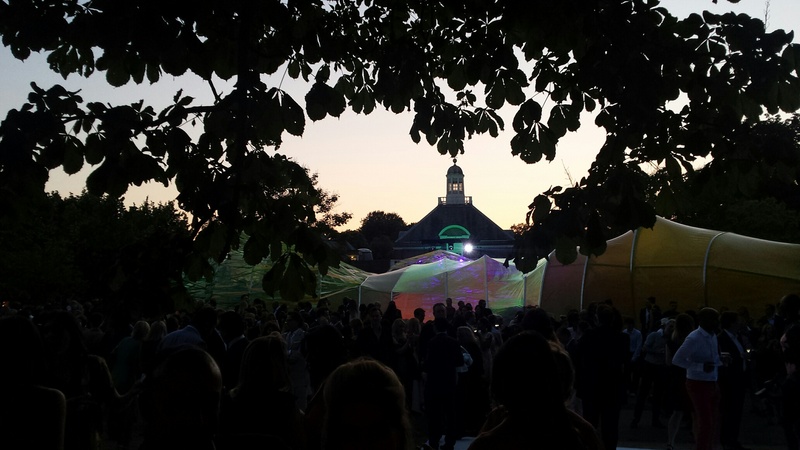 The Serpentine Summer Party is my one indulgence of the year, where I celeb-spot shamelessly, dance with Benedict Cumberbatch and wonder who will end up playing in concert. Last year, Pharell Williams made a surprise appearance for a 30 minute music set, which was one of the best intimate concerts I have ever been to. My feet by LeSalon App. NHYM 2015. Thank you Christine for your hard work! Otherwise, the rest of my pre-prep day went with many glitches; my hair lady didn’t show up and my nanny had an emergency when I was supposed to get ready. So much for 2 hours to get ready. I can always hope. 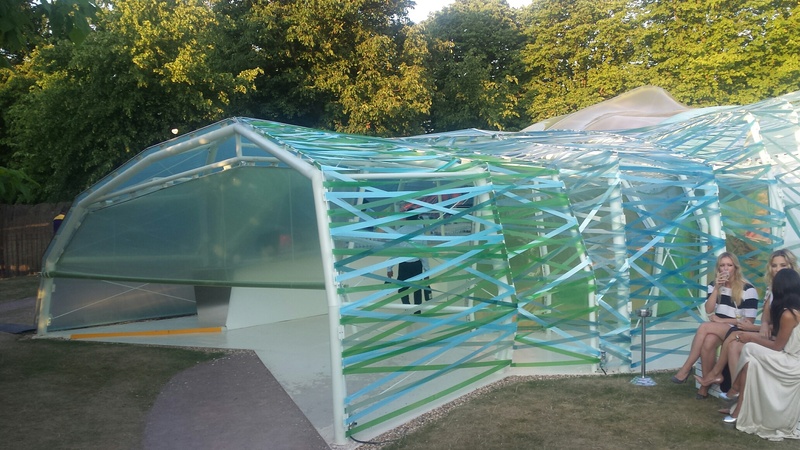 Serpentine Summer Party Entrance. NHYM 2015. The Party, as usual, was exceptional. It is a meticulously organised elaborate event that manages to keep up with our expectations year after year. The Champagne flowed freely for Mr.X, just as the Passion Fruit Martinis did for me. The crowd was a mix of Art Gallery owners, Celebs, Fashionistas, Hedge Funders, Models, plenty of NHYMs everywhere I turned, and a few #RichKidsofWestLondon scattered around looking way too cool. 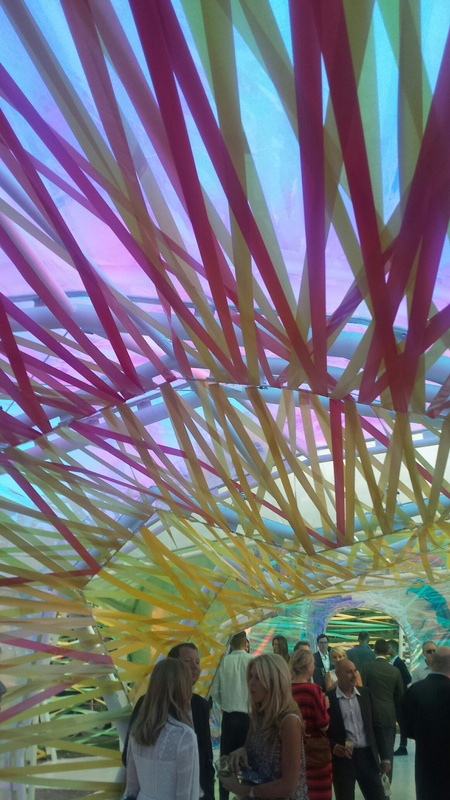 Selgascano design with Kate Hudson on the right in the middle of two friends. NHYM 2015. The celebs were out in force as usual, with Kate Hudson as the big Hollywood star but it was the English rising & established stars that dominated the night: Benedict Cumberbatch, Ewan McGregor, Chiwetel Ejiofor, Alice Eve, James Corden, Naomie Harris, Zadie Smith, Gabriella Wilde etc… etc… etc… Socialites Tim Jeffries, Sophie Dahl, Donna Air and Tamara Beckwith were socialising. The fashionistas were impossibly fashionable and beautiful with Christopher Kane, ERDEM, Roksanda Ilcnic, Matthew Williamson, Alice Temperley as the designers and Poppy Delivigne, Alexa Chung, Karlie Kloss, Suki Waterhouse and Lara Stone as the models sipping and shaking all night long. 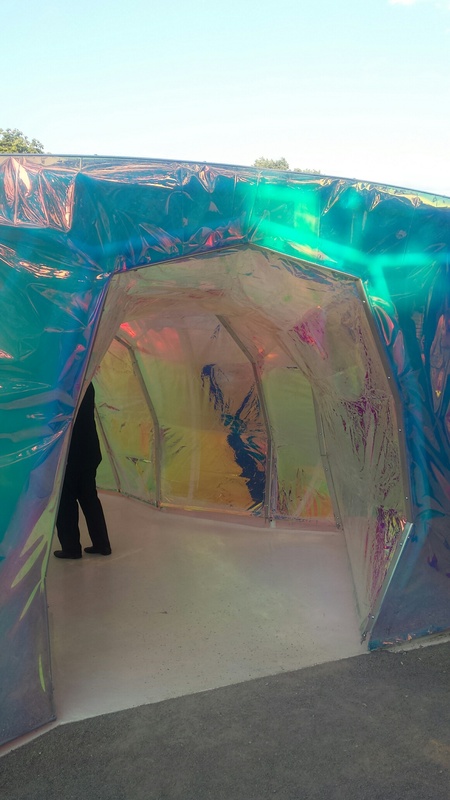 The Pavillion designed by architects selgascano was full of iridescent colours and tunnels, creating a floaty, ethereal feel to the party, which I personally liked, but other attendees I chatted to weren’t as impressed. 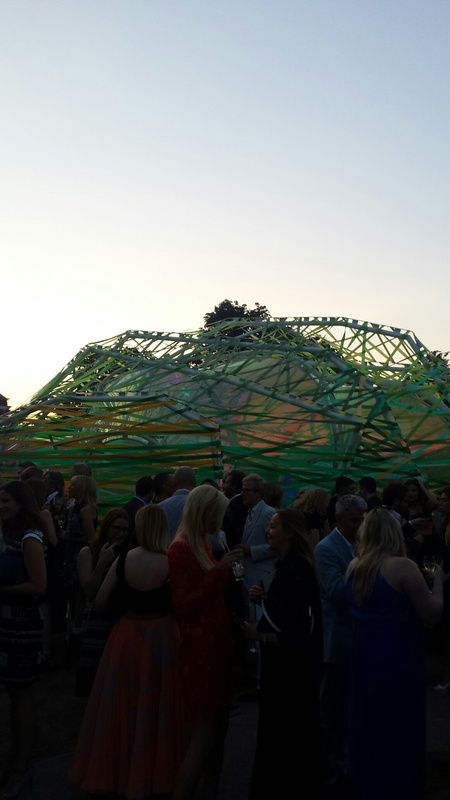 Sunset Serpentine Summer Party 2015. NHYM. As the sun set while we were drinking our martinis and cocktails surrounded by ridiculously gorgeous people, we wondered if the night could get any better with the surprise music set. When the main act was presented, Spandau Ballet, we were all a little… Uhm-Really? Slight disappointment from the previous years’ Dizzie Rascal and Pharrell Williams. Spandau had their last hit when I was 7. This wasn’t quite what I was expecting. 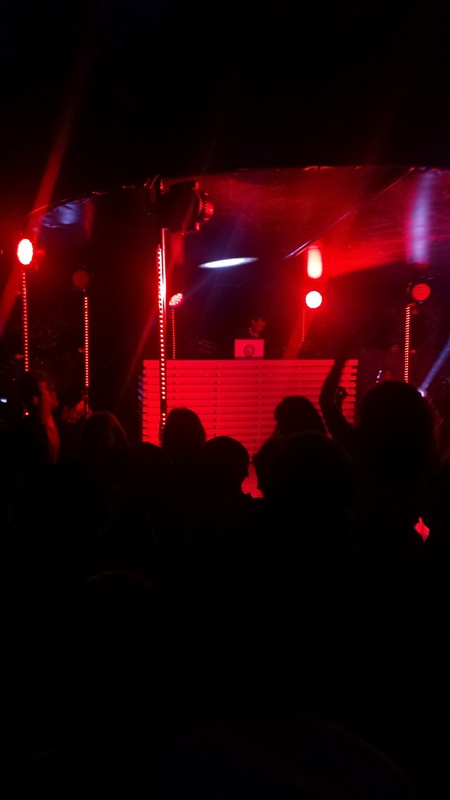 But then, we started hearing the beat of Uptown Funk and saw Mark Ronson at the DJ both mixing and spinning the most famous dance song of the year, ‘Uptown Funk’ and that’s when the party really started. It was Uhm-Azing. I love Mark Ronson and Uptown Funk, which is by far the biggest selling song of the year and has won Mark Ronson ‘Best British Single Award’ at the Brit Awards 2015. Couldn’t have been a better choice for SSP 2015. Mark Ronson DJ’d the rest of the night, including playing songs he produced like Amy Winehouse’s ‘Valerie,’ and tons of old school ‘Biggie Biggie Can’t You See’-style songs, one of my fave 90’s tracks. I spent the rest of the night dancing next to Benedict Cumberbatch as he was smoking his roll up cigarette and wearing sunnies, James Corden jiving in front of me, and up at the DJ booth with Karlie Kloss and Zadie Smith joining in on the action. What a way to welcome in the Summer. I’m off for the summer next week, so have a great summer and see you in the fall!